Another informative article from MindBodyGreen! Every day, we’re exposed to toxins, from our food, water and air! Our body therefore, has a built in, efficient detoxification system which works 24/7, through our liver, gut, skin, kidneys and lungs. The liver, our main filtration system, has two detoxification phases, and each is very important. The Phase 1 pathway leads to the production of toxic intermediates (free radicals), which then must be rapidly acted upon by the Phase 2 pathway so as to render these harmless. If Phase 1 is overactive and Phase 2 is sluggish for any reason, we run a risk of build-up of the toxic intermediate products from the Phase 1 pathway. These intermediary chemicals are more detrimental than the original toxin itself! 1. Stop eating canned food (even if it’s organic)! 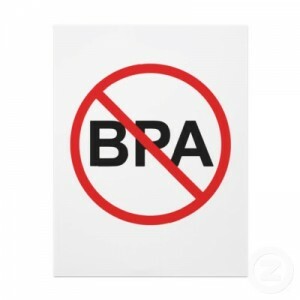 Cans are lined with BPA (Bisphenol A), a Persistent Organic Pollutant (POP). POPs can linger in the human body for up to 100 years! POPs preferentially induce Phase 1 enzymes (Cytochrome P450 enzymes) of your liver detoxification pathways, causing production of free radicals, which in turn deplete the antioxidant reserves of your body. 2. Avoid plastic water bottles. Drink water all day long, but don’t drink it out of plastic bottles! These also contain BPA. 3. Read your make-up ingredients carefully! Most makeup products (even the brand name ones) contain phthalates and Triclosan, which areendocrine disruptors and hormone mimickers. Your makeup should contain only natural ingredients. Remember, if you can’t eat it, don’t apply it on your skin or body! 4. Use only natural household cleaners! Synthetic cleaning chemicals produce a byproduct called dioxin, an endocrine disruptor, immune modulator, and carcinogen which induces Cyp1B1, an enzyme of the Phase 1 liver detoxification pathway. This leads to increased production of 4 Hydroxy Estrogen, a “bad” estrogen, associated with breast cancer development. 5. Find a biological dentist and get any silver-mercury fillings, removed safely! Mercury accumulation in the body can cause autoimmune and neurological problems. It binds to sulfhydryl groups in Glutathione (GSH), the master anti-oxidant of the body, rendering it ineffective in its job as a free radical quencher. Mercury depletes GSH and selenium, a crucial mineral for thyroid health and proper production of thyroid hormones. 6. Stop eating toxic, denatured, pesticide-laden, genetically modified and processed “dead” foods! 7. Stop any form of substance abuse. This includes tobacco, alcohol, drugs, even stimulants like caffeine! 8. Know that pharmaceutical drugs can be the biggest burden for your body to attempt to detoxify. Always discuss with your physician in detail regarding the need your prescription medications. Review safer options, and understand their side effect profile well. 9. Drastically reduce your stress levels. Stress is a toxin, especially when chronic! Our body cannot differentiate between emotional and physical stress, and reacts similarly to both, by producing generous amounts of the stress hormone cortisol. When elevated for long periods of time, cortisol can lead to undesirable chronic diseases and symptoms like high blood pressure, weight gain, metabolic syndrome, diabetes, IBS, sleep issues, and it even increases your risk for heart attacks and strokes. 10. Investigate any food allergies. Food allergies and poor gut health are inflammatory! Excess inflammatory markers chronically circulating in the blood behave like toxins and slow down the efficacy of the liver detoxification mechanisms. A Comprehensive Stool Analysis and a food sensitivity test can help you identify your trigger foods. Fat stores toxins! Lose excess body fat, especially the inflammatory Visceral Adipose Tissue (VAT). Our body’s intelligence believes that the solution to pollution is dilution, and since most toxins are fat soluble, it tries to dilute the blood content of these by pushing them into the fat cells! It’s crucial to remember that fat reduction should always be done under supervision of a trained health care practitioner. If liver detoxification pathways are not supported before initiating a fat or weight loss program, one can become very sick when fat loss causes release of large amounts of stored toxins into the blood stream. You may have heard of people getting quite ill after losing weight rapidly. So, please exercise caution! Movement mobilizes toxins! Exercise regularly to gently release toxins through skin via sweat. Yoga is great to enhance lymphatic drainage. Slow deep breathing releases toxins through lungs. 13. Get those bowels moving. Our gut has been called the “Phase 3” Detoxification pathway! Avoid constipation, so that once the liver has done its job of converting the fat soluble toxins into water soluble compounds, they are easily and rapidly eliminated in the stool. Constipation leads to recirculation of toxins in the body, increasing toxic exposure, thus increasing risk for cancers and other chronic diseases. 14. Prevent emotional toxins from building up! Practice journaling, meditation, forgiveness, mindfulness, and emotional release techniques on a regular basis. Don’t hesitate to seek professional help if needed. 15. Last, but probably one of the most important is sleep! It’s the best way to rejuvenate the body’s detoxification capacity both on a mental and physical level. Assess whether you wake up refreshed every morning. If not, please get evaluated for why that is so! It could be the most important thing you did for yourself! Hopefully some of these simple reminders will help you. For additional individualized help and functional testing of your gastro-intestinal tract health, food sensitivities, toxin testing; adrenal health evaluation, or testing for micro-nutrient, vitamin, mineral and antioxidant deficiencies (which impact your liver’s ability to eliminate toxins), find a Functional Medicine Physician in your area.